You have discovered the World's most comfortable keyboard system, because it is the most adjustable keyboard. With Tri-Dimensional swivel and yaw it allows literally infinite positioning options for each of the three sections: tilt, rotate, bend, flex, twist, flatten..... you name it. What's more, the three sections can themselves be moved farther apart or closer together rapidly, allowing for shoulder-width extension and travel. 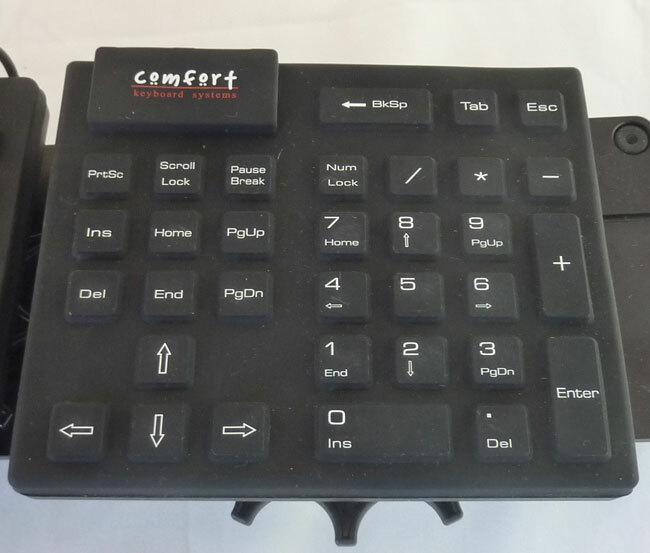 The Comfort Keyboard System increases typing comfort and decreases fatigue. adjusting to a comfortable shoulder width for each individual. each section rotates and tilts to an infinite number of positions. Three modular sections: left-hand, right hand, and numeric keypad. Numeric keypad can be positioned on the left..an instant productivity gain for left-handers. and then locks into place. 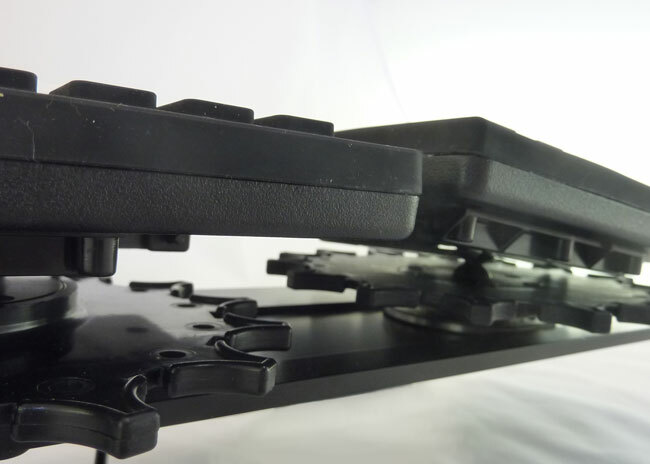 Smooth tactile Membrane keyswitch technology. Base Dimensions: 22.0" X 4.5" X 0.125"
Overall Dimensions: 19.62" X 5.25" X 2.62"